Veterans. Disabled. Criminal Record. Financial Issues. Career Direction. Lack of Education. Puerto Rico Hurricane Evacuees. Transportation Issues. Hire Day Orlando is committed to bringing you community resources that are 100% no cost that WILL MAKE A HUGE DIFFERENCE in you getting a GREAT JOB, not just a job. 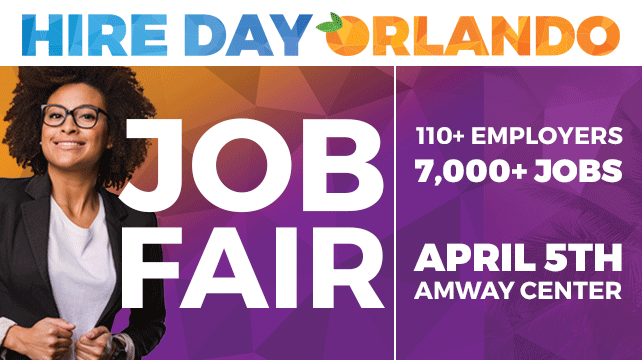 Go through this list of community partners that will be at Hire Day Orlando on April 5th and see what services they can provide you to help you in your job search. You don’t know what you don’t know and our community partners have the programs and resources to help you truly get a great job. Stop by the Jobs Partnership table at Hire Day Orlando to get more information and sign up (no cost) for the next classes. The LifeWorks program is a game changer for so many who struggle and need some real advice to help them get the job you want; not just a paycheck. Our 18-week program is provided at no charge and designed to assist our students with barriers that would prevent them from achieving success while enrolled, such as lack of food, housing, transportation, childcare, and medical and mental health needs. This is a hidden gem in Central Florida. 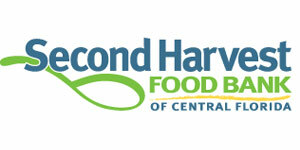 Second Harvest will train you so you qualify for jobs in one of the largest industries in Central Florida; the culinary industry. Employers hire all graduates in a very short period of time. Stop by their booth for more information. A great resource! How they help job seekers: By calling the agency’s help line- 211-residents of orange, Osceola and Seminole counties can help for aid to pay rent, power bills and groceries. You are not alone. Every day, hundreds of people across Central Florida turn to 2-1-1 for information and support—whether for financial assistance, health programs, crisis support and more. 2-1-1 is free and completely confidential, available 24/7. Mission United helps Veterans and their families. Mission United is focused on creating systemic change in the areas of education, employment and legal services for veterans. Job Seekers: Just another great resource to help you during a job search or even while you are employed in so many ways (2-1-1). Mission United exists to help veterans. Go speak with them to learn how they can help you with other programs they offer as well. Also, they do have a lot of volunteer opportunities and many of these are great way to meet your future employer. 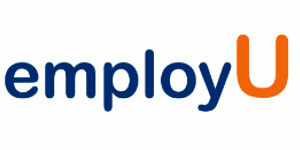 The Success Training Employment Program (STEP) is a program dedicated to enhancing job-readiness skills. The first six weeks is made up of in-class discussion-based learning in the areas of Emotional Intelligence, Empowerment Training, Workplace Skills and Job Acquisition. Following graduation students work with a job coach and success coach to help them get hired and stay employed. Stop by the UP table at Hire Day Orlando to enroll in the STEP program (no cost). This great organization can help individuals who may have difficulty obtaining employment because of a lack of a GED, have a criminal record, are unstably housed, or lack transportation. If you are struggling with any of these things, Up is there to help you find your way. This fantastic organization who work with individuals with disabilities and place them at employers. The On-the-Job training (OJT) puts you with employers who will mentor and develop skills needed to realize your career goals and potential. Catholic Charites provides numerous social services, free medical clinics, adoption services and food resources. In addition, they provide Comprehensive Refugee Services to eligible refugees and asylum granted individuals living in Orange, Osceola and Seminole Counties. Services provided to eligible refugees and asylum granted individuals living in Orange, Osceola & Seminole Counties. Camaraderie Foundation’s mission is to provide healing for invisible wounds of war through counseling, emotional and spiritual support for all branches of Military Service Members, Veterans and their families. If you’re a veteran, they will work with you on the job search (as well as many other things) to help transfer your military skills to civilian skills. 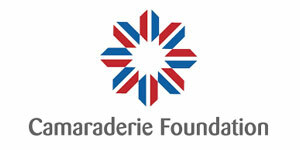 Veterans, this is a fantastic organization designed to help you transfer back into civilian life. No matter what your situation is, don’t miss the opportunity to meet them at Hire Day Orlando and find out the numerous resources they have to help you (no cost). 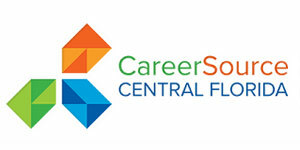 For over 20 years, Career Source has helped thousands for job seekers and employers find professional success. Numerous resources to help you including training, coaching, resume writing and job listings. Career Source will have computers for you to use during Hire Day Orlando. 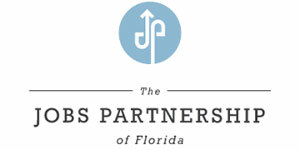 They will be located in the community partner section on the Promenade Level of the Amway Center. Go talk with their Career Service Consultants and let them help you uncover jobs you never even knew existed. 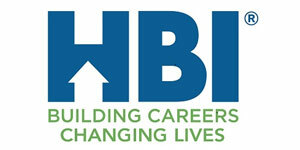 If you have any interest in the construction industry, please talk to HBI at Hire Day Orlando. The provide no cost training and placement in a very viable, long term industry. IDignity host monthly Client Services Events only on the third Thursday of every month at no cost to the clients at The Salvation Army located at 440 W. Colonial Drive, Orlando FL 32804. We welcome anyone interested in obtaining documents to attend our next event. Please bring all the documents that you may have including school, hospital records, birth certificate, social security card, etc. We will assist you even if you do not have any of these documents. I am including an event flyer to this email for your convenience. Please arrive between 6:00-7:00 am. Intake starts at 8:30 am.